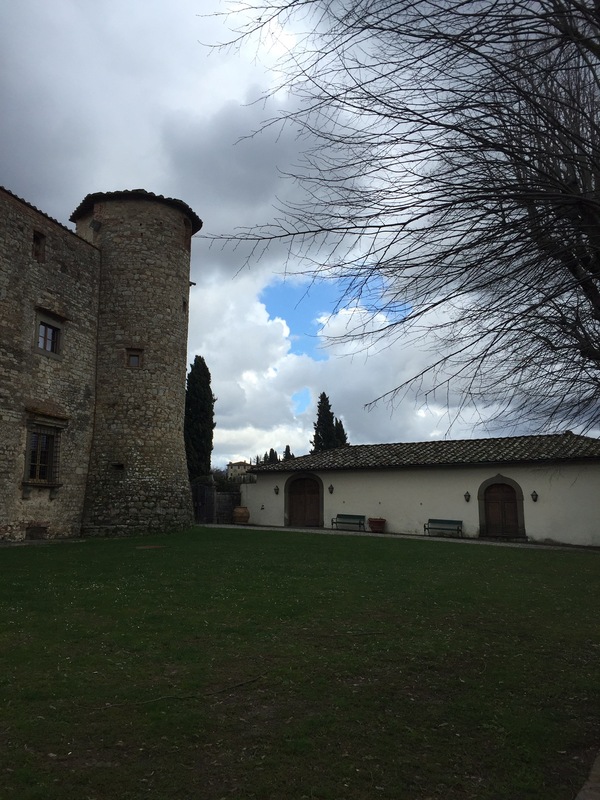 This is Meleto castle www.castellomeleto.it in the Chianti district & of course the symbol of the Chianti Classico , the black rooster , was on the bottles we opened & tasted! 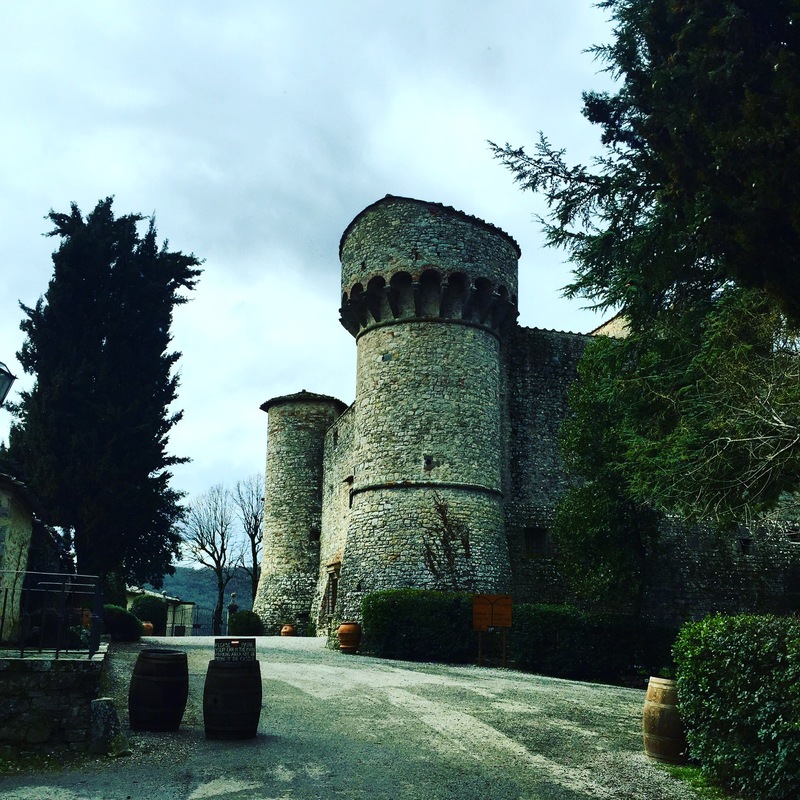 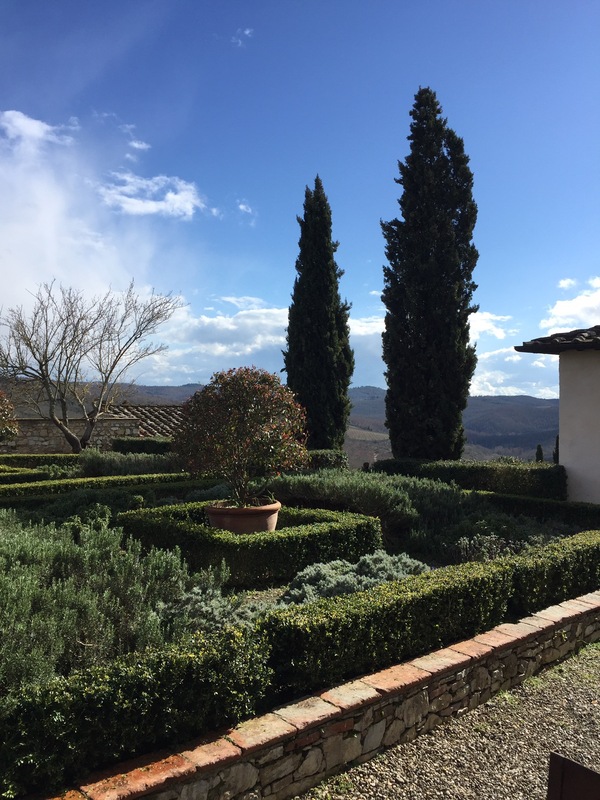 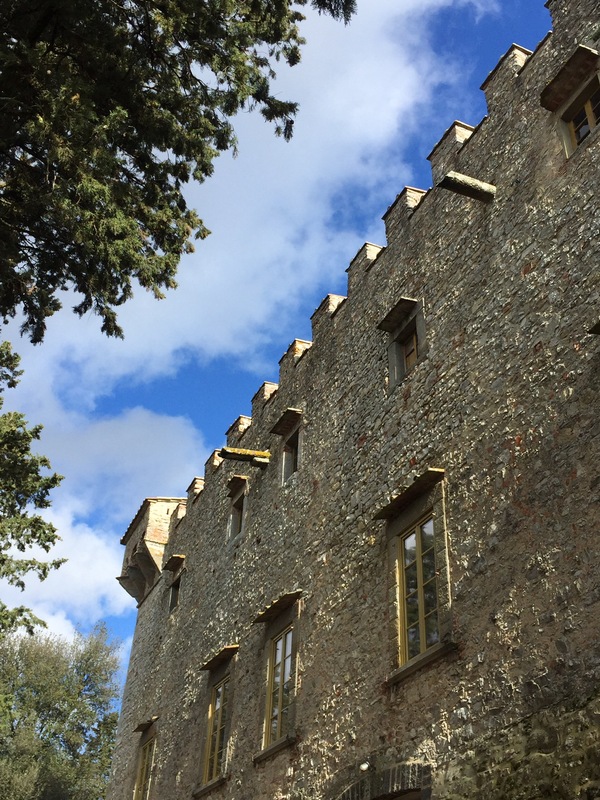 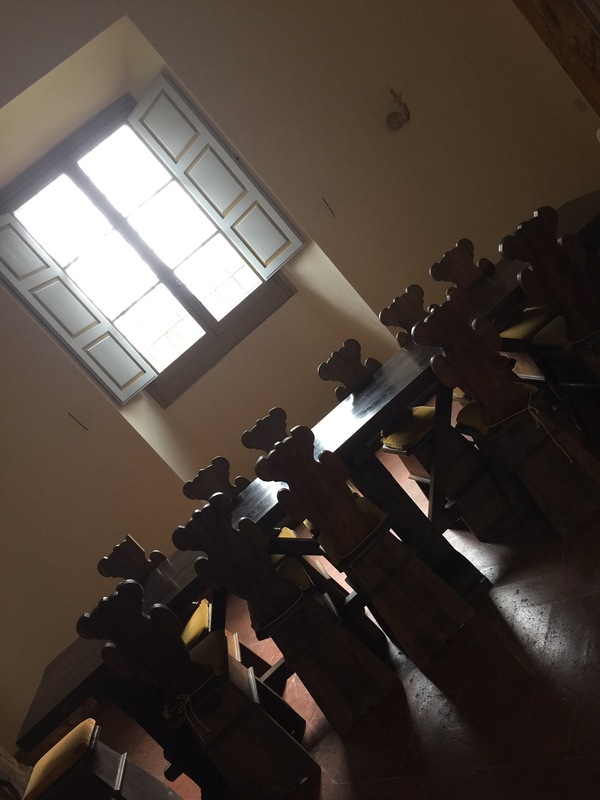 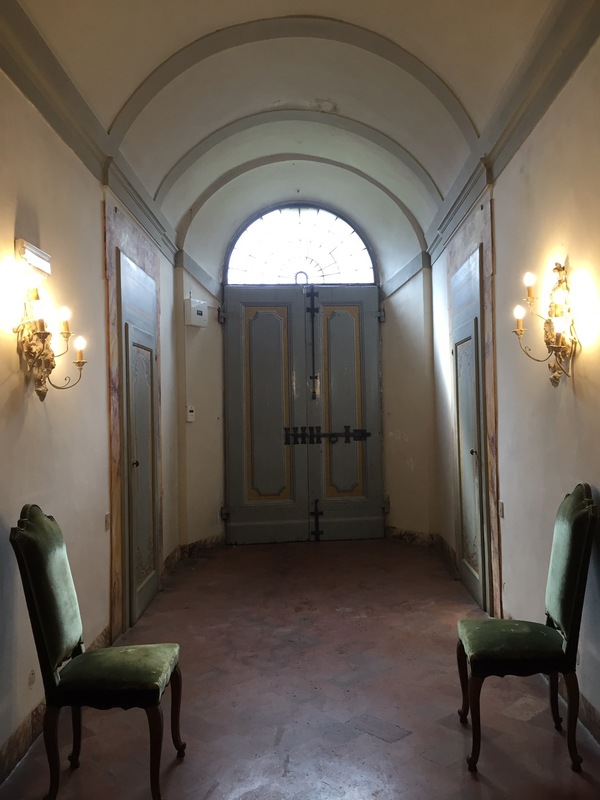 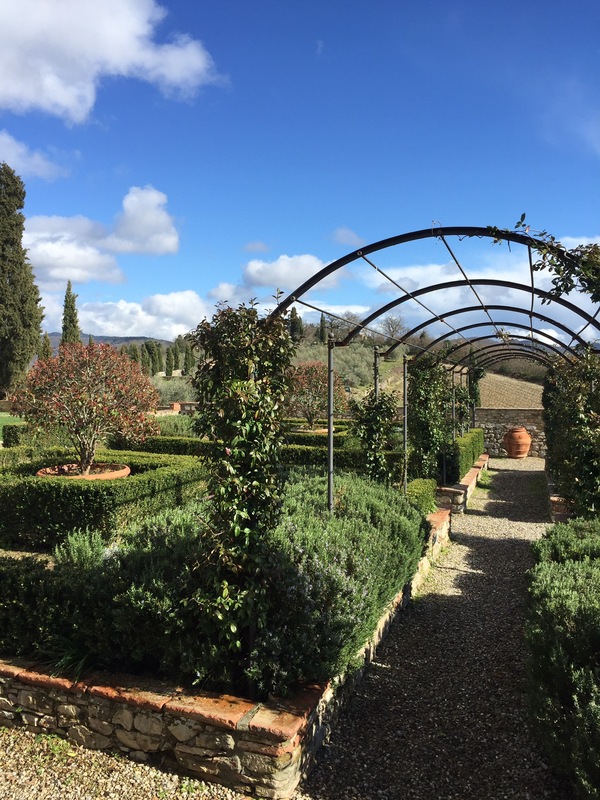 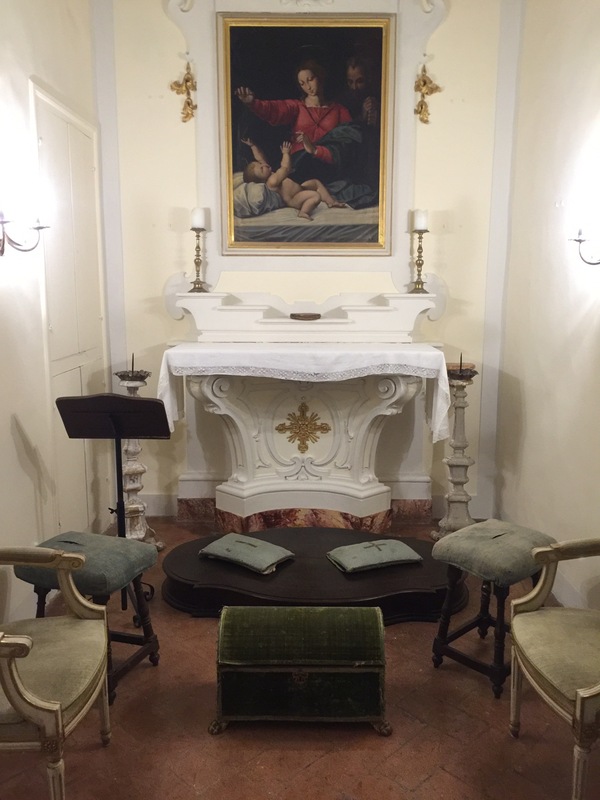 The castle dates back Middle Age & the Ricasoli ‘s family owned it for many years,at the present the property has changed . 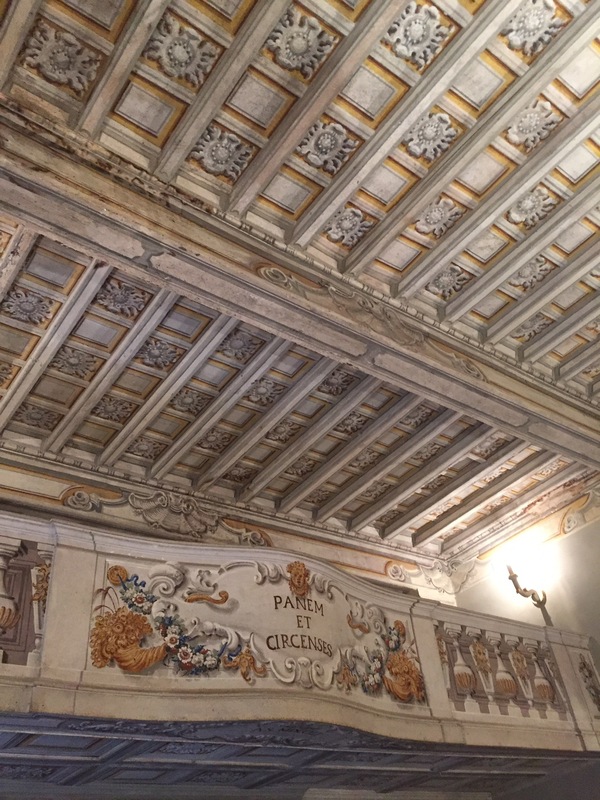 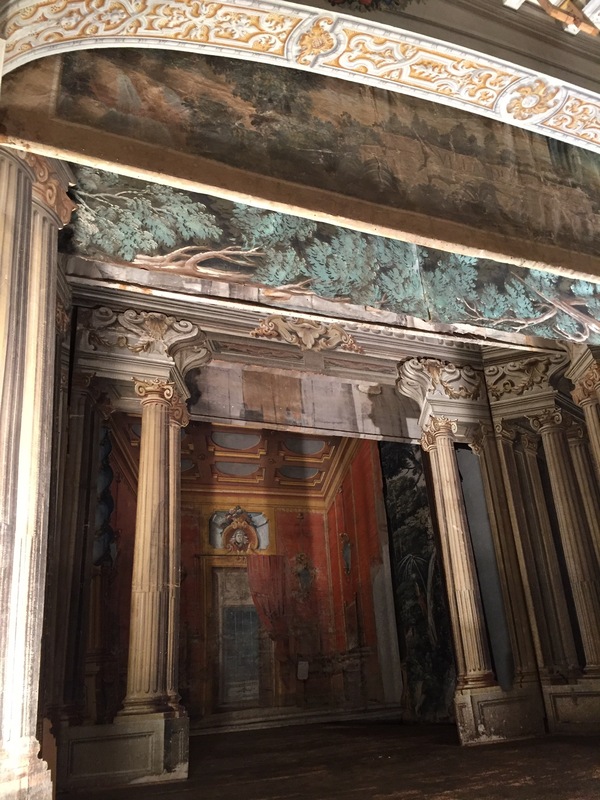 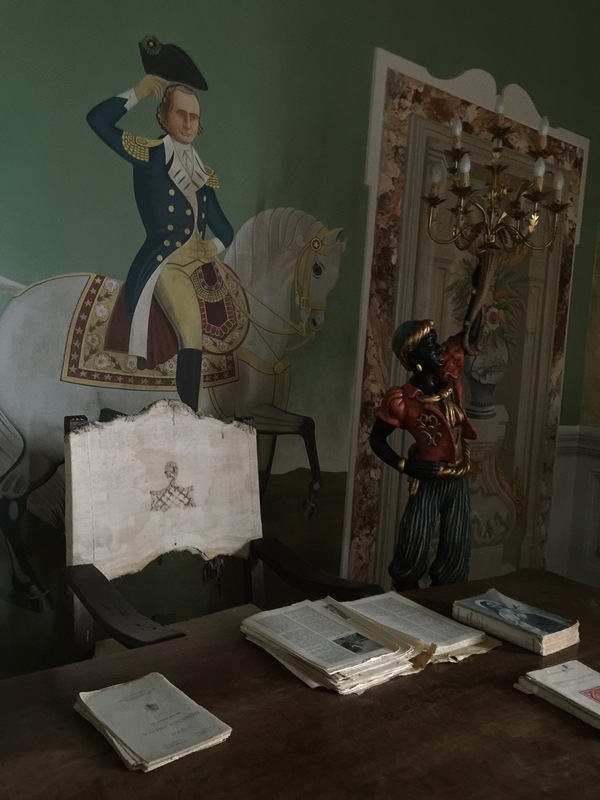 There is also a small old theatre dated XVIII century that we visited in which the noble family used to invite friends for private events. 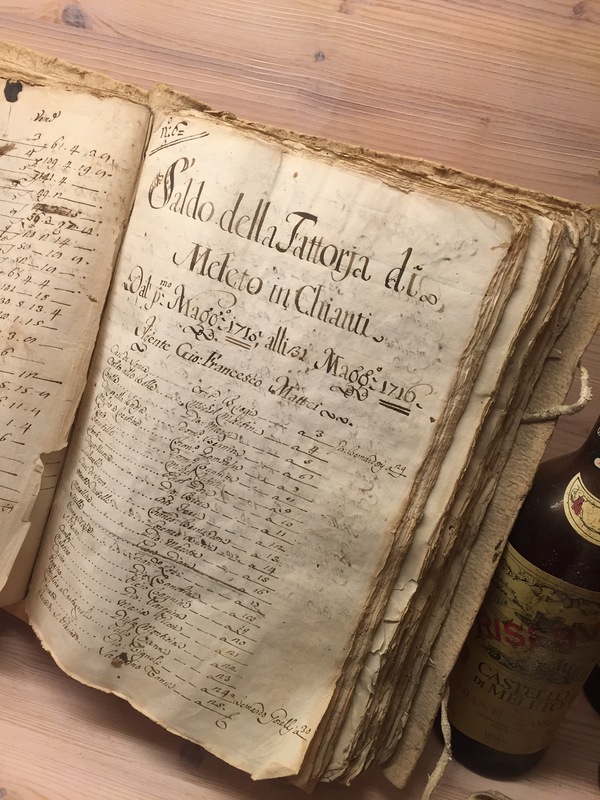 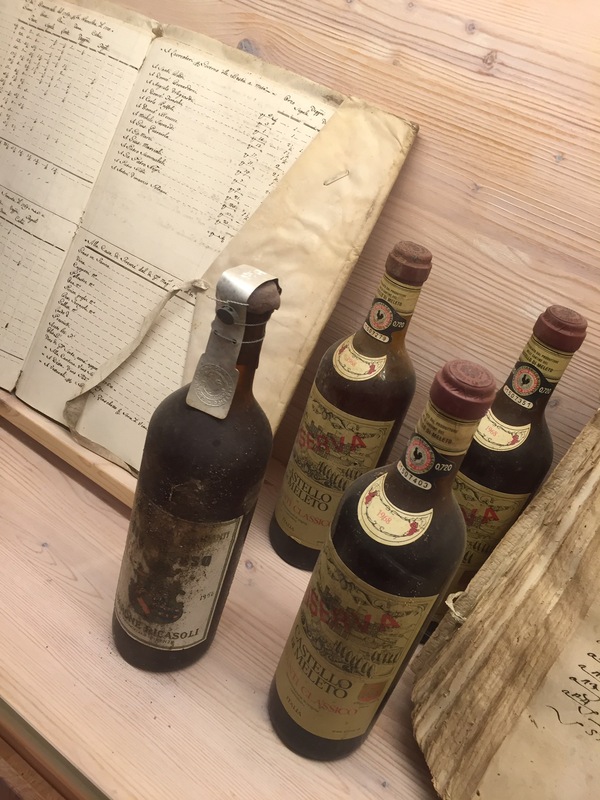 I really loved the old manuscripts showed in the tasting room that proves the old tradition of wine makers & the costs of the farm in the past centuries & some very old bottles of wine! 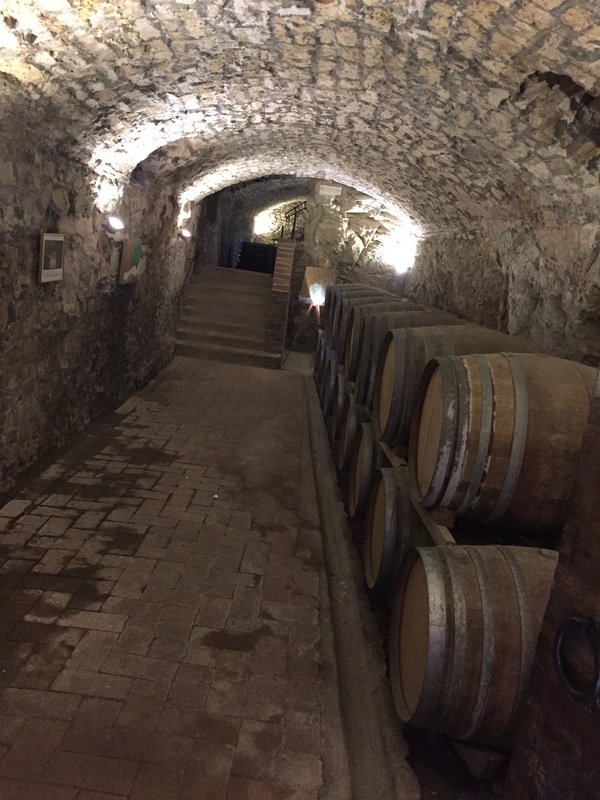 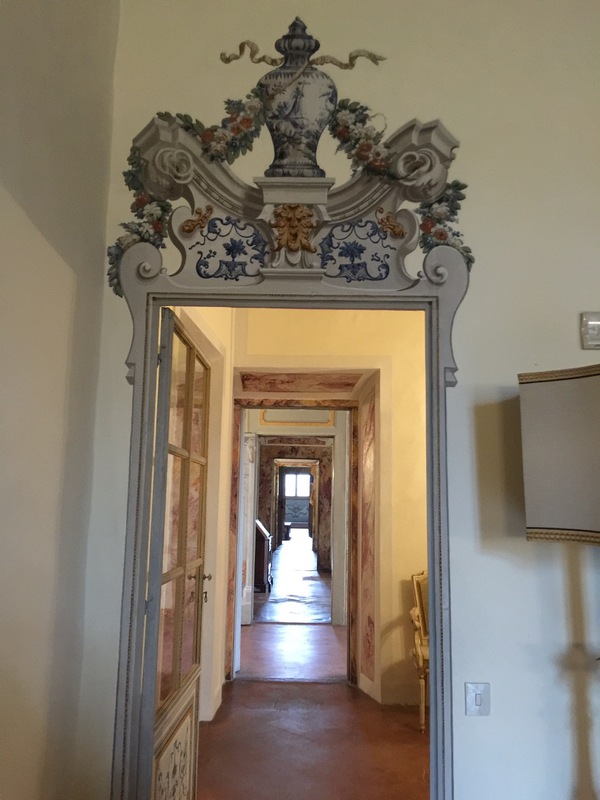 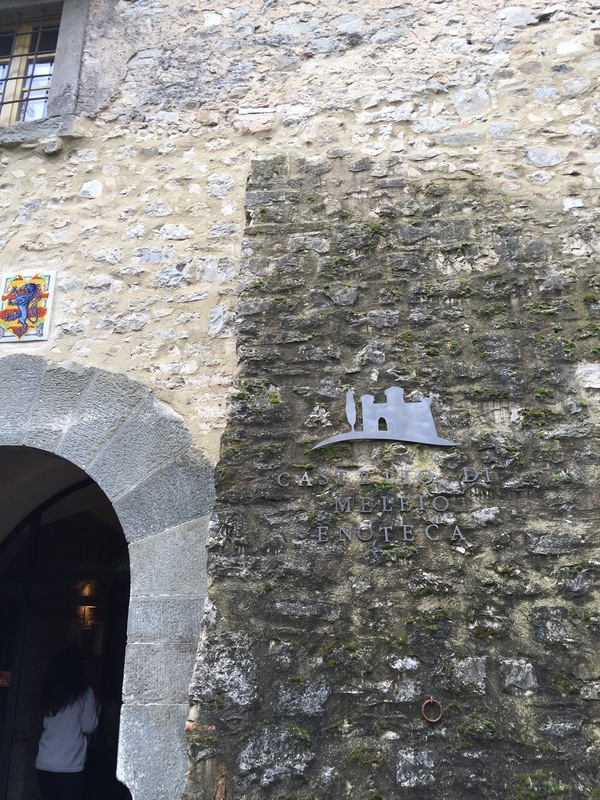 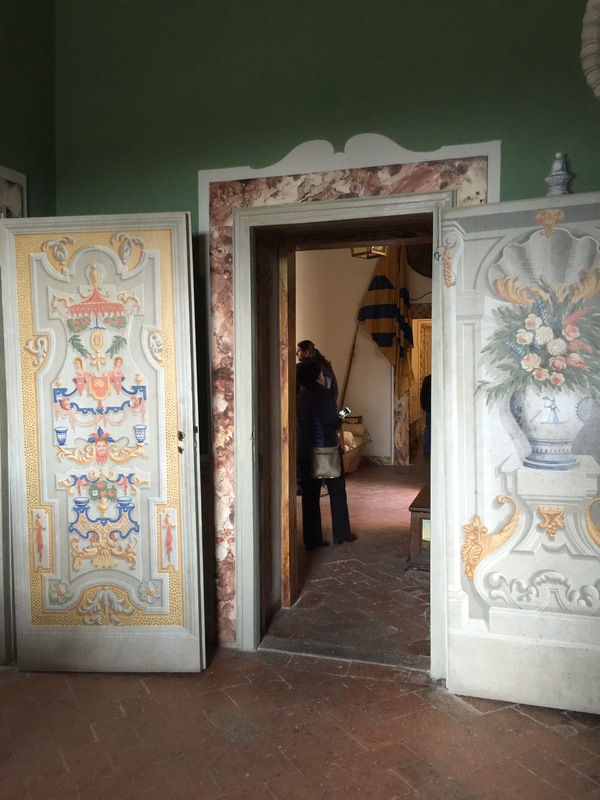 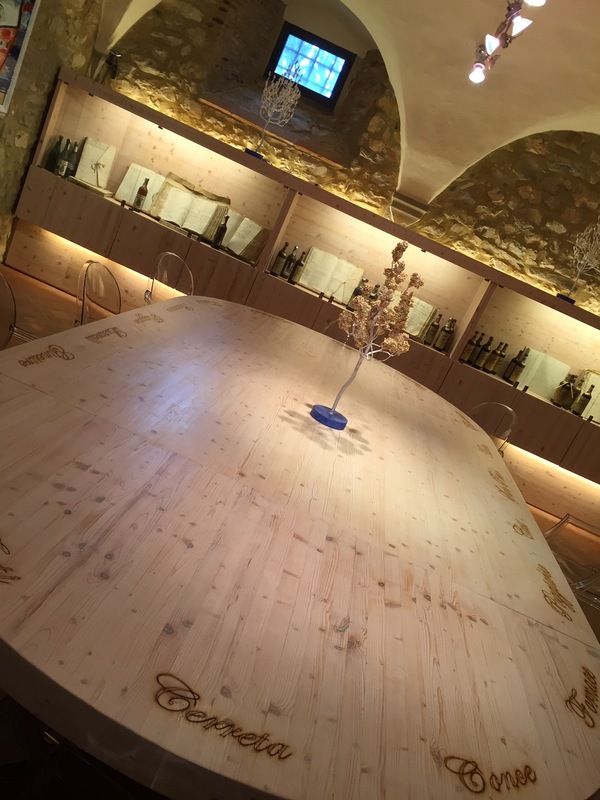 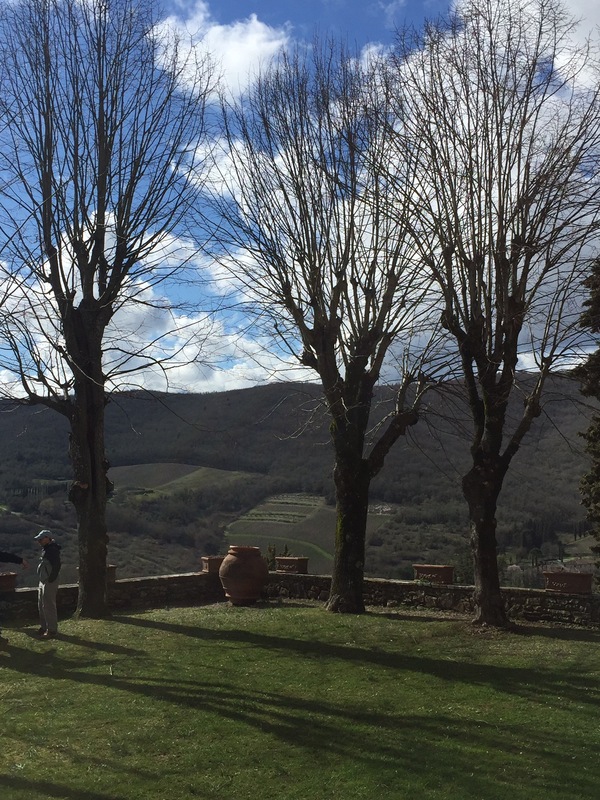 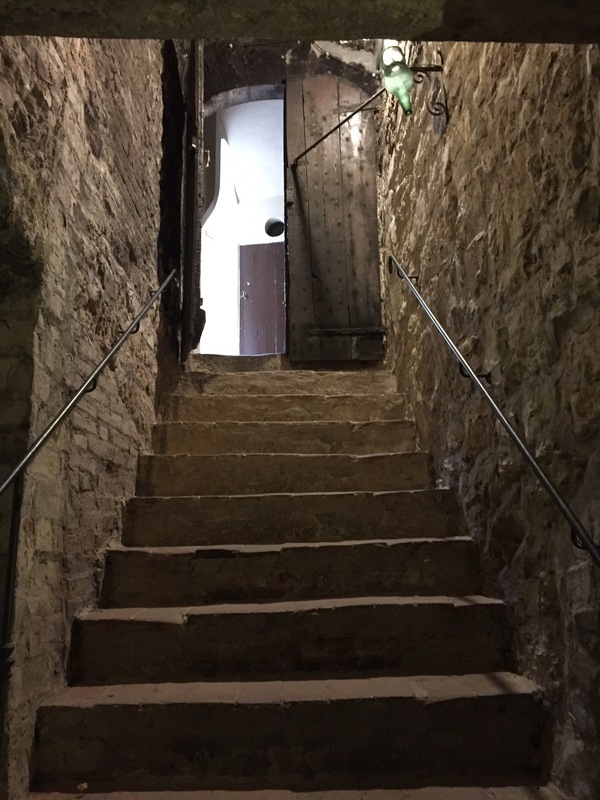 The castle is in such a beautiful location overlooking the valley ; made of old stones opened its painted doors to host us in an elegant afrescoes dining room for lunch & its old doors leading to the cellers full of barrels of wine for our tour. 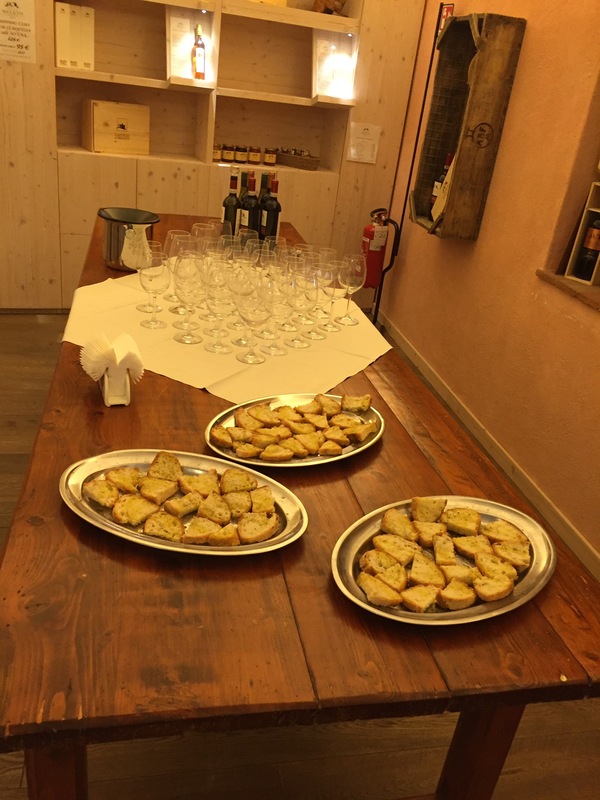 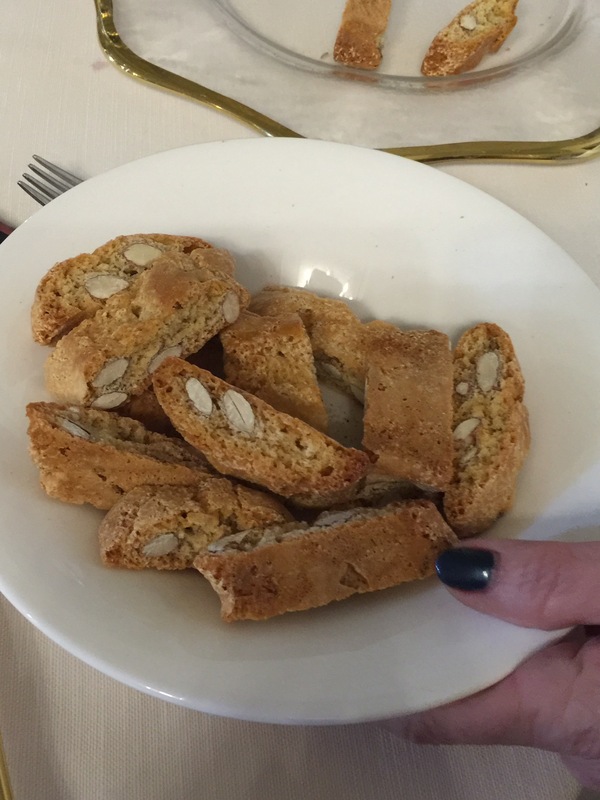 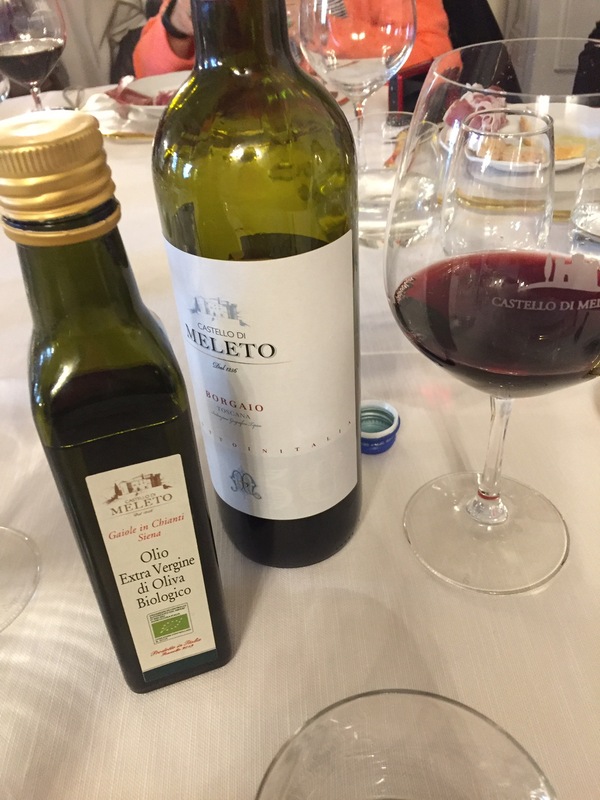 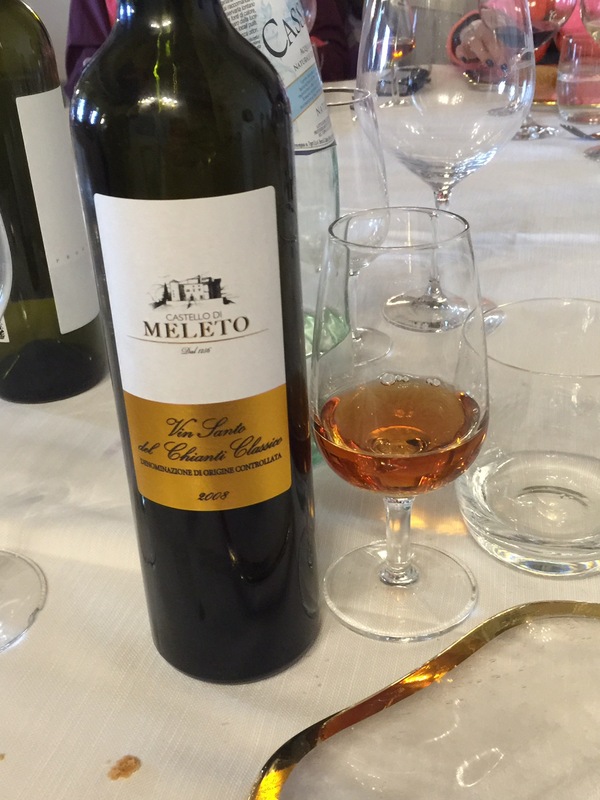 The Meleto’s products are not just wine but also a good extra virgin olive oil we tasted before our lunch as bruschetta with different kind of wines as welcome ‘aperitivo’and Vin Santo – excellent dessert wine – at the end our meal with cantuccini biscuits . 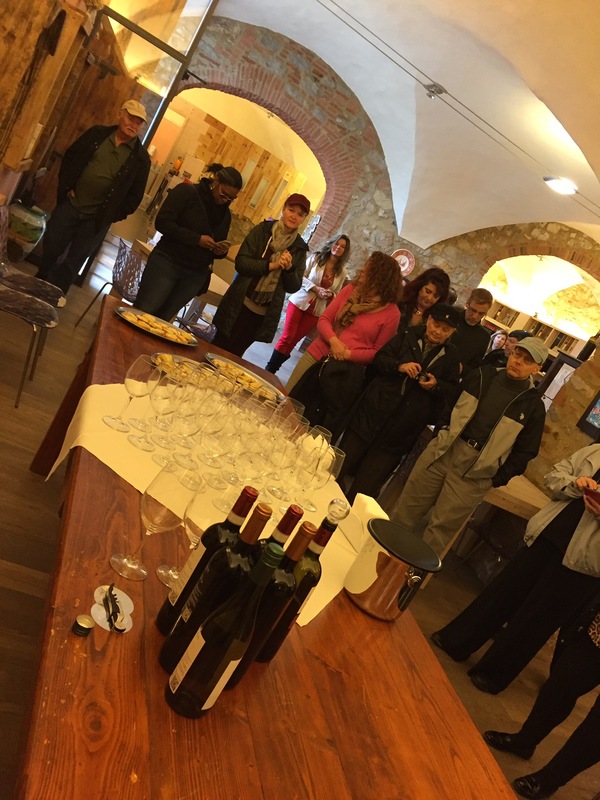 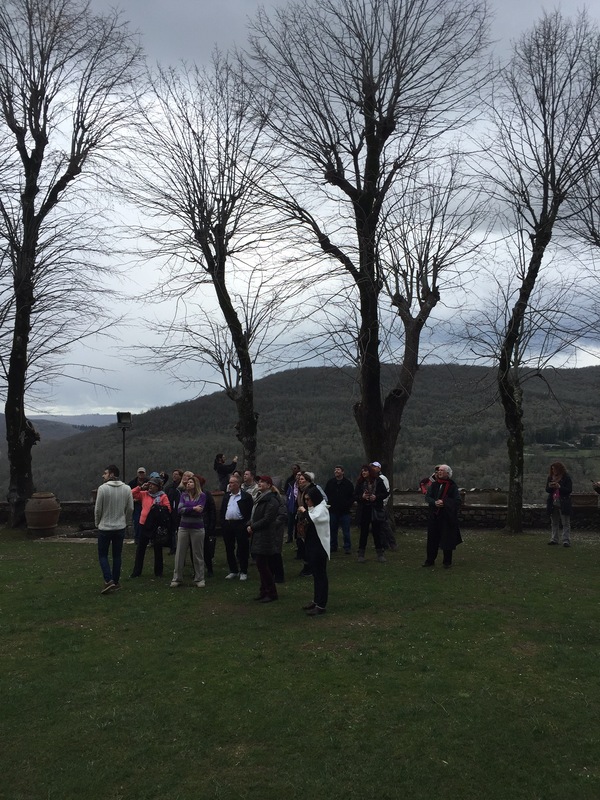 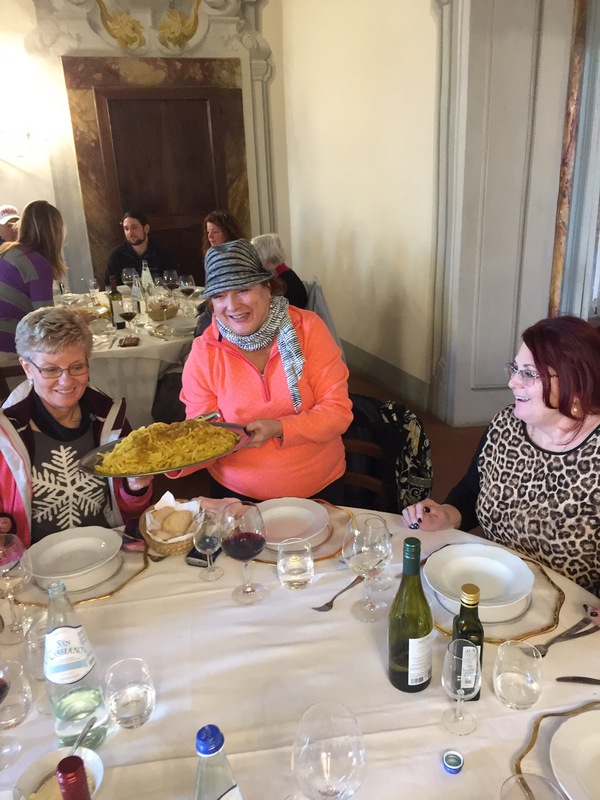 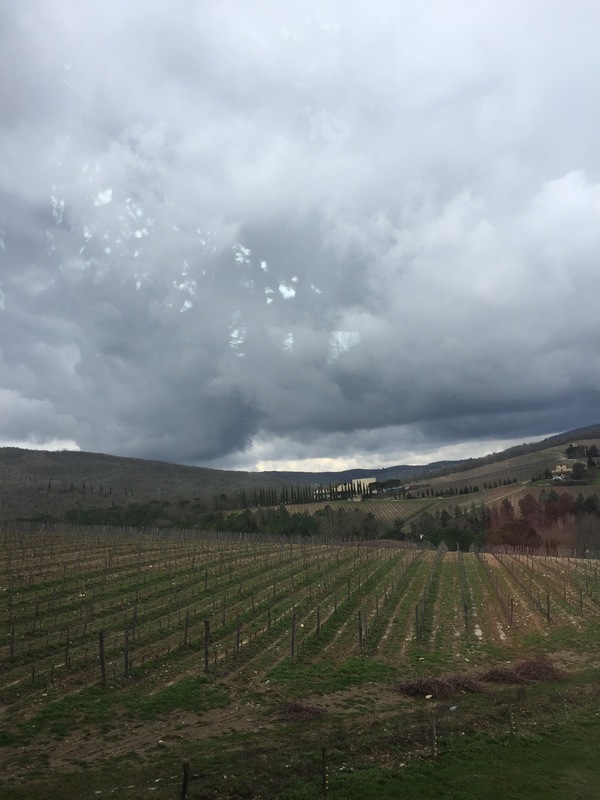 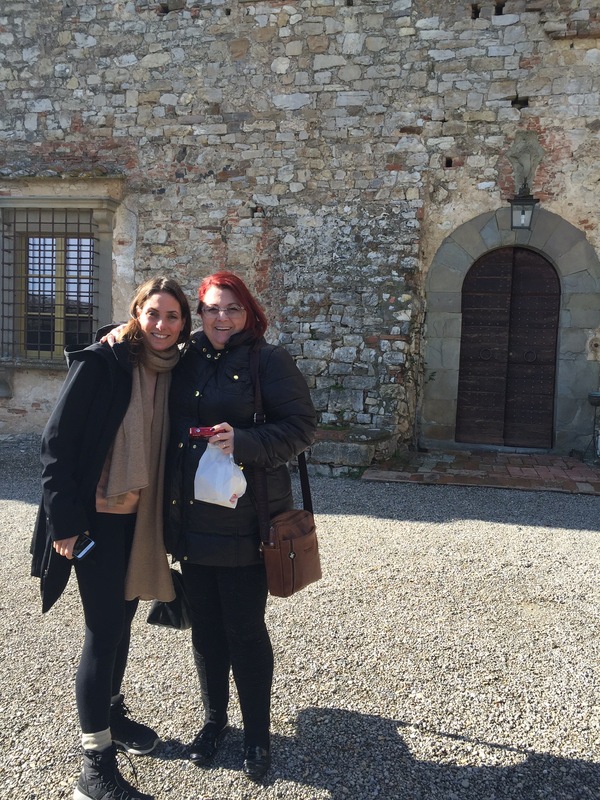 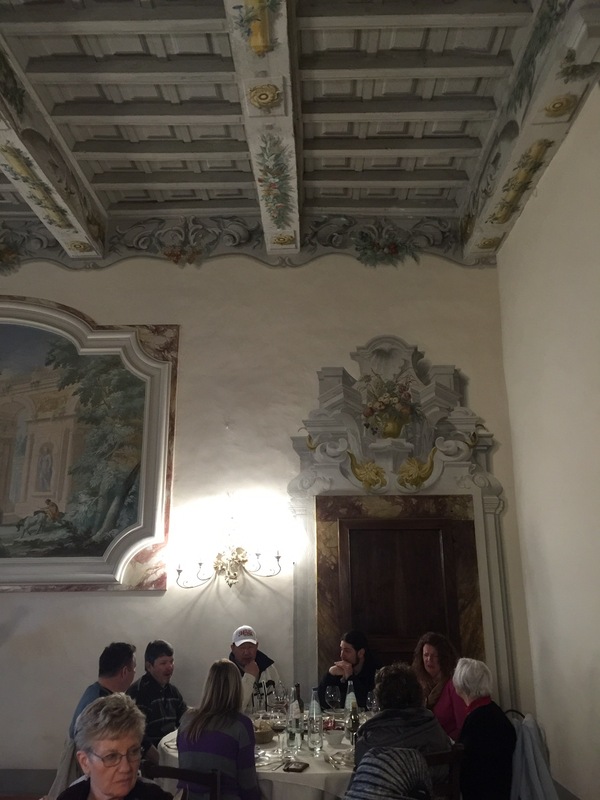 The American group enjoyed so much our daytour from Pistoia around the Chianti! 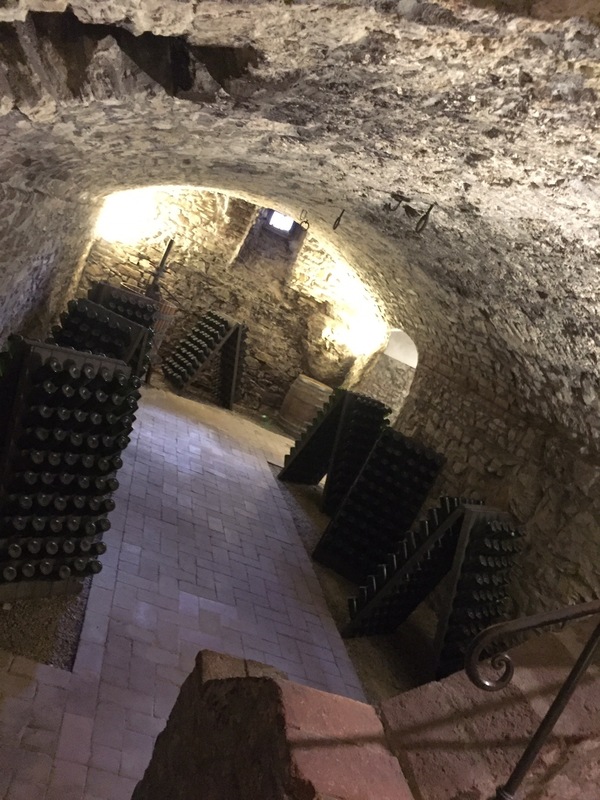 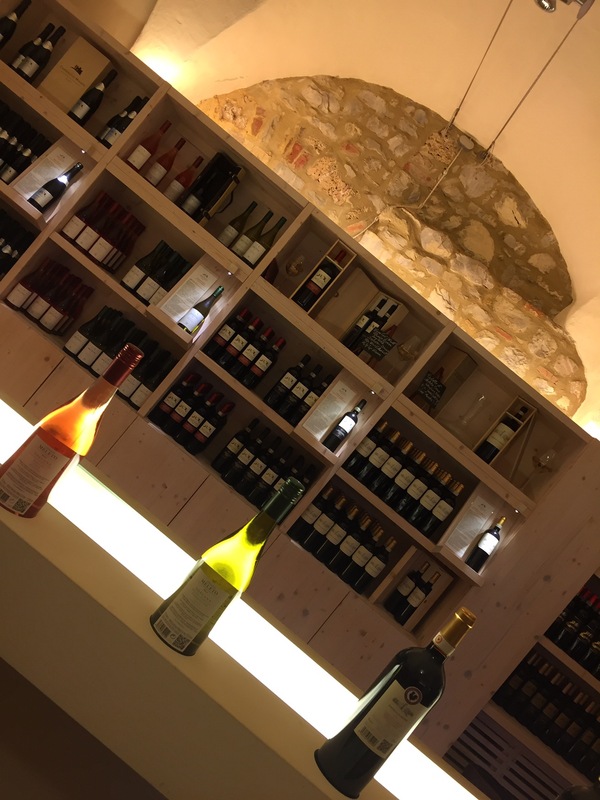 Il castello risale a 1256 o il vino risale a 1256?